Fried On Business host Jim Fried of Sandstone Realty Advisors has brokered the $17 million sale of a Miami property that includes the Wynwood Yard food venue and the O Cinema. A Miami-based Lennar Corp. subsidiary purchased the 1.11-acre site at 48-98 N.W. 29th St. and 63 N.W. 28th St. from longtime owners Barreto Properties and 29th Street Complex, both managed by David Lombardi of Lombardi Properties. “This was a complex and difficult deal. This project – at Wynwood’s ‘front door’ will do quite well. 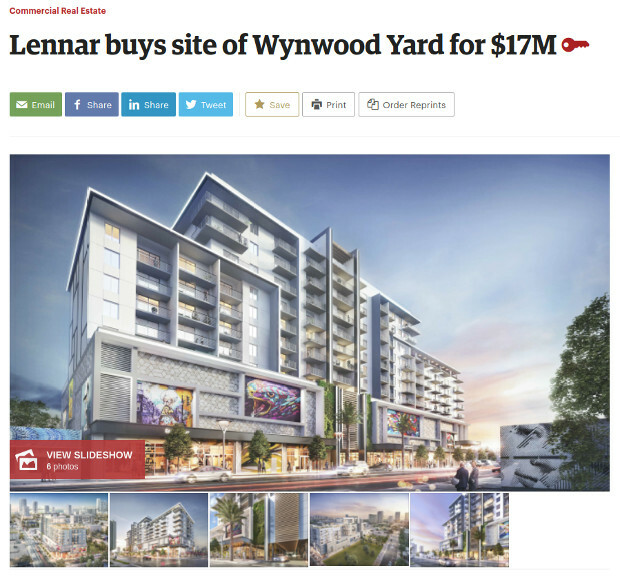 It capitalizes on great frontage on 29th street and easy access to all the regional employment centers and is walkable location in the heart of Wynwood,” Fried, President of Sandstone Realty Advisors, told South Florida Business Journal. Click here to read the entire story. Subscription required.